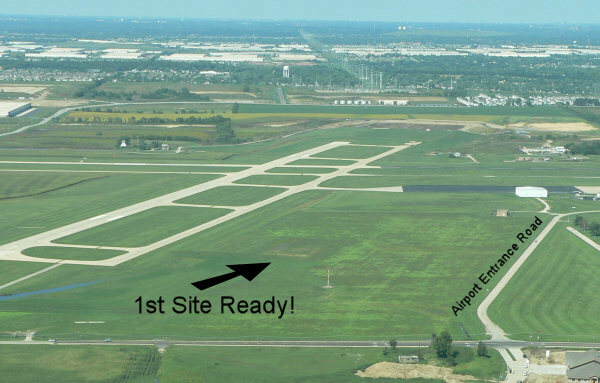 This development area has been set aside for larger (20,000+ sq. ft) corporate high tail hangar / office complex construction. 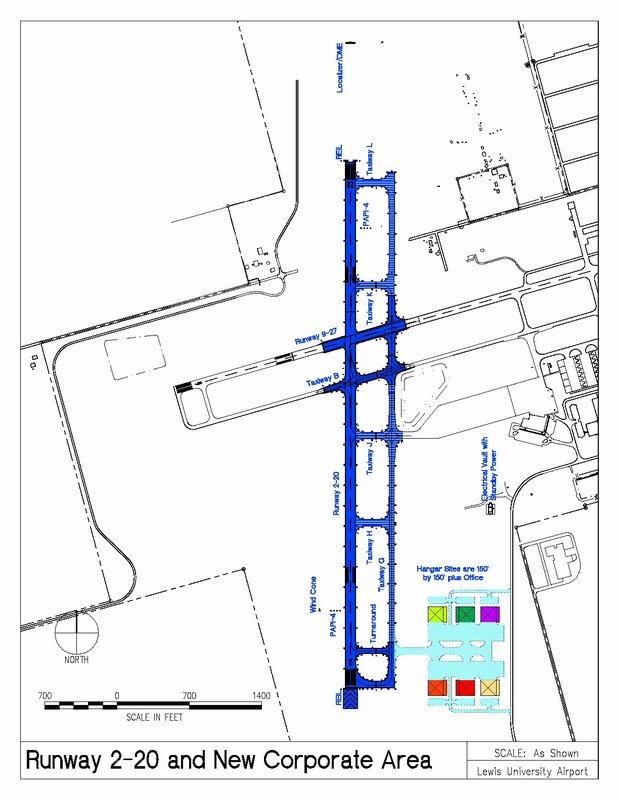 Taxiway and ramp plans are for 100,00lb+ strength. Romeoville water and sewer service to this general area; all utilities are within close proximity to site. Contact Chris Lawson at 815-838-9497 ext. 114 for details.